Howdy there, EpicDuelists. 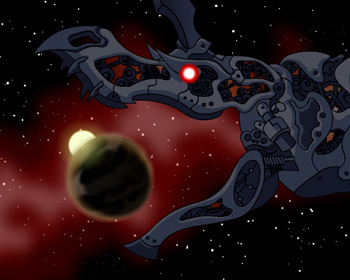 I'm stopping by briefly to turn the DNs over to EpicDuel tester and Mod Practel for a thorough Dragon*Con recap. Artix did a pretty amazing job describing the event from the developers' perspectives, but I think it's equally interesting to read about the Con through a different set of eyes. Without further ado, heeeeeeere's Practel! Every year about 50 Artix Entertainment staff and assistant staff travel from their secret undisclosed battle locations to Atlanta Georgia (an 8 hour bus ride) to attend Dragon*Con! Dragon*Con is the largest multi-media, popular culture convention focusing on science fiction and fantasy, gaming, comics, literature, art, music, and film in the universe! 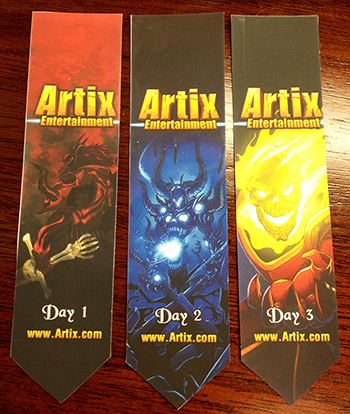 Each year the convention attracts about 60 to 70 thousand people, and an awesome group of Artix Entertainment players! To see everything that the con has to offer is almost impossible, but those who are courageous enough to fight the “4 days with no sleep” boss can do it! The con offers something for anyone. There are panels about everything from making your own functional steampunk R2-D2, to meet-and-greets with some of the biggest names in TVs, Movies, Gaming and Books. There are thousands of people dressed up as their favorite characters, movie marathons, a sea of tables for table top games like Dungeons and Dragons, card games like Pokémon, Magic and Yu-Gi-Oh, board games like Risk, Settlers of Catan and King of Tokyo. Did I mention there were storm troopers? Dragon*Con Pizza Party Meet and Greet! Each year, generally the day before the convention officially starts, AE throws an awesome pizza party for all the players that attend. People come across the world just to hang out and talk with the staff about the games, what’s coming up, and genuinely have a good time. The players LOVE hanging out with the staff, and the staff love hanging out with the players! Each year a different, very dedicated player will come by and discuss the game to the point where even the player knows more than the developers about their own game! This year there was one player who was VERY dedicated and even cosplayed as Artix! Just like the awesome pizza party AE holds every year, it’s always a tradition to hold one of the coolest panels in all of Dragon*Con! This year was definitely the best panel AE has ever hosted – it had well over 100 people attending to come and watch, laugh, even cry, and genuinely enjoy their time as a player and proud con-goer. Each game lead stood up, discussed the game they headed, told the players what was going to happen in the future, and answered questions. Coincidently, I happen to have a video of Nightwraith discussing some EpicDuel stuff! As promised, anyone who went to Dragon*Con this year should have received their Slayer armor and DragonBuster II sword by now! 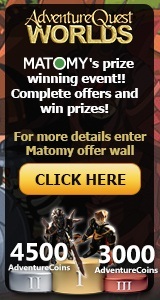 If you signed the paper for the AQW item, but forgot to list your EpicDuel name, please let us know! Artix Entertainment always has a player fan booth, where about 5 or 6 staff sit, talk to players, answer questions, and have a good time. For the entire convention. During this time, we had a few very friendly players that most of us knew from Twitter and the forums visit. I was completely shocked and happy when one of my good friends A.C.W popped up and introduced himself to me officially in real life! If you visited the booth, you could have gotten a bunch of cool ribbons to put on your badge. One for each day the booth was open! He came in a champ… left as a legend. 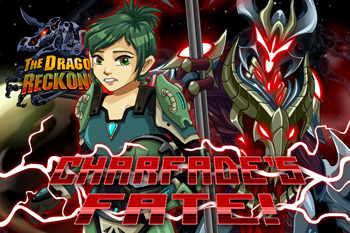 One very awesome, and very dedicated player by the name of HawkBlackWell did the unimaginable… he challenged Titan to an Epic BattleOn Battle Cards game! If Titan won, he would receive one steampunk trophy. 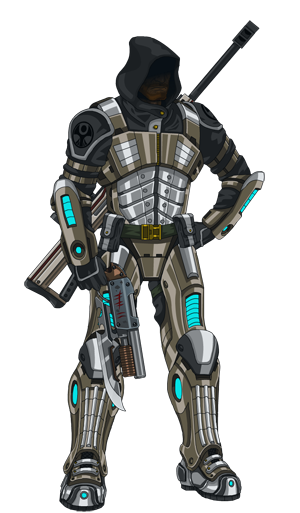 If HawkBlackWell won, he would receive one permanent NPC in EpicDuel! The battle was tight… Titan was annihilating HawkBlackWell, and it was in everyones eyes that Titan was going to win. Then, the most magical thing happened. HawkBlackWell played his deadliest card, life swap, swapping his and Titan’s HP. Titan was instantly annihilated. A deal is a deal, and it was a tournament between Titan and HawkBlackWell. Look for a HawkBlackWell NPC sometime in the future! It’s always sad to leave the wonderful players each year, but there’s always the time where everyone needs to get back to reality, go to school, work… life. Everyone had a great time this year at Dragon*Con, and it was all thanks to you guys, the players. If it wasn’t for you, we wouldn’t be where we are today. As usual, we hope to see you next year, for another epic time with the team. First off, a hearty welcome back to all of our staff and players who had the opportunity to attend Dragon*Con! Practel twisted my arm and he’ll be writing a recap post later this week. 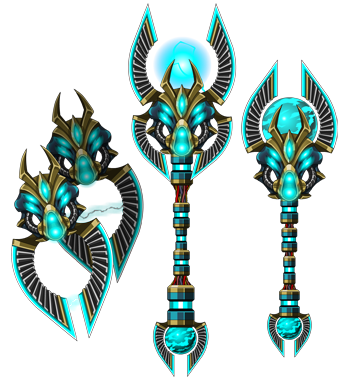 If you visited us at Dragon*Con or follow us on Twitter, you may have seen some codes being posted that you could redeem for a starter pack of weapons by entering the code at any City Guard to redeem the code for starter pack items! How can you get a code? Well, we gave codes out at DragonCon, but the best way to find a code is to follow us on Twitter or Facebook! It is possible that this code redemption system could be used for other promotions in the future so stay tuned for more developments! As Nightwraith announced at the panel at Dragon*Con (and you may have seen in this video by Practel) we are allowing players to decide whether to save or sacrifice Charfade. To decide this, we will be polling players in game. Visit Dravax to choose a side. After voting, you’ll be able to see how many players are with you and against you. When the poll is complete, Charfade will be sacrified or saved based entirely on YOUR votes! Also, to discourage “stuffing the ballot box”, voting will be restricted by account, IP, and level (you must be at LEAST level 5 to vote). The missions to obtain the Exile and Legion locker keys are going rare with this update, and eventually these keys will convert into achievements. The Blueprint scraps will be sellable if you still have some taking up space in your inventory. Hey there, EpicDuelists! With Dragon*Con this weekend, we’ll be rolling a midweek release. Remember that if you visit our fan table in the Hyatt Regency Atlanta (lower level) and write down your character name for us (one per attendee, please; please don’t beg your friends to get free stuff for you) to be awarded the Dragon Slayer armor, which is also available in-game and comes with the Dragon Master achievement! 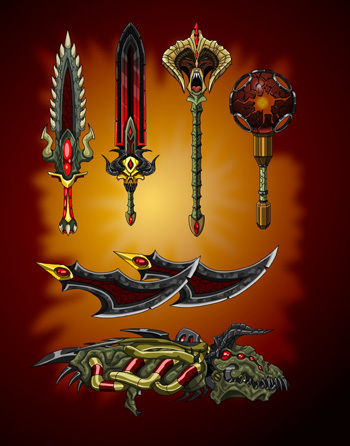 For those who are brand new to EpicDuel, we will be giving out codes redeemable for a free set of starter gear! This is an exciting new feature as it can be used for more special promotions in the future. First time DragonCon attendee? 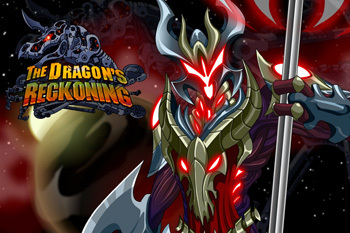 Lucky for you, Cysero has posted a DCon survival guide on the AQW design notes: http://www.aq.com/gamedesignnotes/dragoncon-2012-2072 ! The room will be the "Grand Salon E"
The location will be on the 10th Floor, in the Skyline meeting area. We understand that many of you cannot attend Dragon*Con, but please understand that we are not affiliated in any way with the management or funding of the convention. We cannot ask them to host Dragon*Con in your hometown, and as great as it would be to travel to your city or town to meet you, it is not logistically feasible. Again, we understand that not everyone can travel to Atlanta, GA to visit us, but we do not want those who do stop by to see us to leave empty-handed. We did not release the first missions for this arc because we were building a new battle feature! 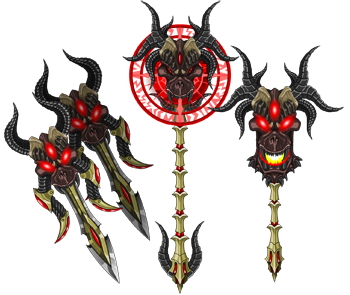 With this release, players will be able to team up with the Slayer to defeat Dravax itself and send his master a message he'll never forget! 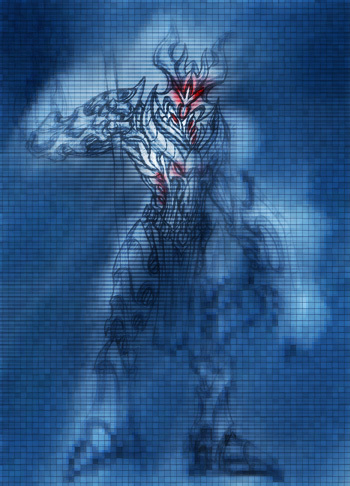 Your missions start with Dravax, who attempts to convince you to hand over Char without conflict. Your quest will then lead you to Mirv, who needs your help to re-enable the turrets defending the planet. Will you surrender Charfade to the Harbinger and its Master? Or will you keep her safe and save Delta V another way? Of course dragons do not exist, but there are insects who are pretty close to spewing fire! Bombardier beetles are a cosmopolitan tribe in the Carabidae consisting of over 500 species of beetle named for their defense mechanism. The beetle maintains two reactant chemicals (hydroquinone and hydrogen peroxide) in abdominal reservoirs, and spray the foul-smelling resulting chemical at enemies. The product is not only foul, but the reaction is highly exothermic, with the spray reaching 100C (ie. Boiling) and quickly volatilizes. This system is often used by creationists as an argument for intelligent design and irreducible complexity, but the use of hydroquinone in defense is conserved in the carabids and hydrogen peroxide is a normal waste byproduct of cellular respiration. After a struggle spanning many days, from the darkest cavern, to the highest peak, until at last, Titan threw down his enemy and smote its ruin on the mountainside! That is to say, Titan and our wonderful crew of testers made it known to the software behemoth that their latest "update" was ruining performance in EpicDuel (and a few other Flash-based MMOs) so they essentially released an update just for us! I'd call that a WIN. Get the latest version of FlashPlayer here! Thanks Adobe! We've also been making some important changes to the backend of the game -- changes we can't go live with until they are completely. Because of this, we won't be releasing until later tonight. I'm predicting a... *summons the guidance of the mischievious time faeries* 9-10 PM EST release time. As a byproduct of the efforts to optimize EpicDuel and streamline performance, Titan has been replacing all the interface components in the game. This paves the way for another very important feature going forward: localization. 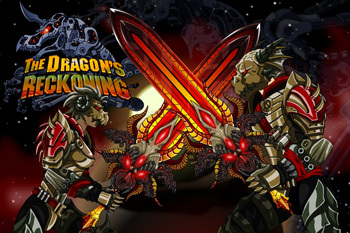 Soon* EpicDuel will be available in multiple languages, starting with Portuguese. It's a good thing we don't have as many quests as the other AE games, or that task would be monumental! Tonight, you will be introduced to the newest area of Delta V, or is it a sub-area? 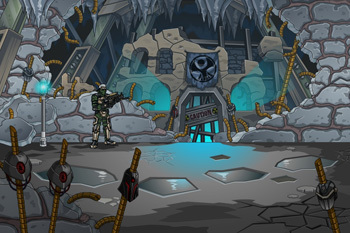 In any case, Old Fortune City, the current headquarters for the Exiles is accessible through the staircase in the back of Hank's in Fortune City. All the new equipment will be there, so you'll want to hurry if you want to be the first to check it out! 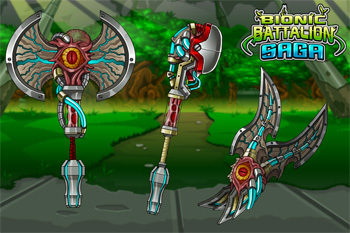 Of course, we didn't forget all the lovely implements of destruction we showed you last week! They're still coming, and thankfully, there's plenty for Varium and non-Varium players! You might also check out the Limited Quantity Shops. Just sayin'. 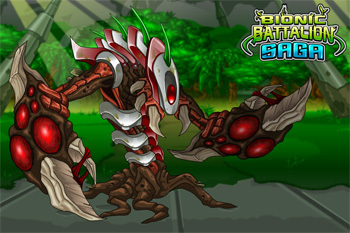 We've been teasing at a new character to be introduced to EpicDuel since the early Delta previews. We're finally ready to drop him in game, but not quite ready to reveal his true identity. Some of you may already have figured it out, but the explanation will shock you! 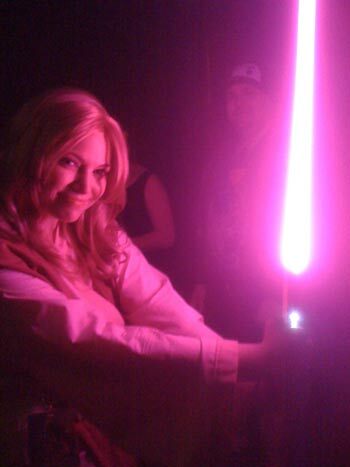 Time to dust off your plastic lightsabers and Doctor Who fezzes and join us for the 2011 DragonCon in Atlanta, GA! This will be AE's 7th consecutive year attending and if you plan on going, we would love to meet you! It's basically a four day long, 45,000-person costume party with games, comics, anime, robot battling, art galleries, vendors, concerts, celebrity guests, and panels on everything from how to swordfight, write novels, make costumes, meet the cast of your favorite TV series…AND you can go to our panel and meet US! DragonCon is for audiences age 16+ (unless accompanied by a parent.) DragonCon is not run nor operated by Artix Entertainment. Everyone is invited up to our suite at the top of the Mariott (Room 4724) on Thursday to eat pizza and hang out with Artix, Cysero and the team. This pre-DragonCon party is for ALL AGES and is very casual and informal. Mmmmmm.... Free Pizza, Soda, Water and Air. No costumes. You can dress up if you want, but you should save yoru costumes for the AE Panel that happens the next day! Join us as we kick off DragonCon's gaming track with the official AE panel. It will take place on Friday at 2:30pm at the Sheraton hotel, in the Savannah room. If you brought a costume, dress up for the panel! Quiz questions for the audience with prizes and giveaways! We received a letter from EbilCorp that Chairman Platnum is going to "stop by" our panel. Official release of the game *shivers* Ponies vs Ponies! 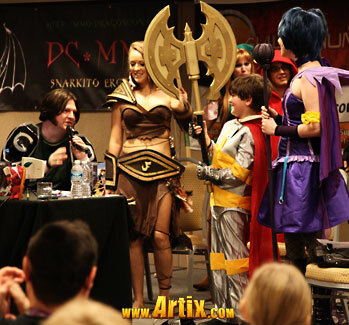 Also this year, there will be an Artix Entertainment fan table located in the Hyatt. Stop by each day for a special ribbon to hang on your DragonCon Badge (Jemini made them... there is a different dragon for each day!) There are limited quantity of badges for each day... so first come first serve! We will always have two members of the team and any volunteer players who want to hang out and play battle cards with us. There will also be an art drop-box on the table if you want to submit any of your artwork in person. Pack your energy drinks and assorted totems of nerd culture and join us for the biggest AE party of the year! Remember: what happens at DragonCon, stays at DragonCon...until it's posted on the Internet!